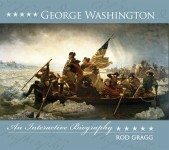 Rod Gragg is the author of numerous works of history, including The Declaration of Independence, Lewis & Clark on the Trail of Discovery, Covered with Glory, Confederate Goliath, and The Civil War Quiz & Fact Book. His books have won several awards, most notably the James I. Robertson Award, the Douglas Southall Freeman Award, the Jefferson Davis Medal, and the Fletcher Pratt Award. Many of his books have been featured in the Book-of-the-Month Club, the History Book Club, and the Military History Book Club. Presently he is vice president of DSI Services, a marketing firm in Myrtle Beach, South Carolina. He also teaches as an adjunct professor of history and has been a political campaign consultant for over sixteen candidates. A native of Conway, South Carolina, Gragg earned his bachelor of arts degree in journalism and master of arts degree in American history from the University of South Carolina. He and his family live on the South Carolina Grand Strand. Unlike other books about George Washington, this compelling interactive biography reveals anew why Washington is proclaimed as the “Father of Our Country” and remains America’s most-beloved president. Graced by a captivating fast-paced narrative and intricate, colorful design, George Washington: An Interactive Biography literally places history in the hands of the reader through a fascinating collection of Washington artifacts and documents. As World War II ripped the world apart, men and women facing a stark reality rose to command. Although many came from humble backgrounds, their strength of character and inspirational actions transcended all boundaries. Modern leaders can find no better paragons of guidance than in the lives of the greatest generation. From Little River to Georgetown, the South Carolina Grand Strand—popularly known as the Myrtle Beach region—is only fifty-five miles long, yet few coastlines have a richer, more colorful history. Numbered among its parade of colorful characters are hardened explorers, seasoned woodsmen, remarkable women, famous soldiers, powerful politicians, men of violence, rich men, poor men, and gifted visionaries. Robert E. Lee was an embodiment of the Old South. The admired commander of the Confederate Army of Northern Virginia was respected by his troops as well as his enemies. From his childhood through his years at West Point until his death, Lee lived his life by a code of honor. He relied on this code during many difficult decisions, including his commitment to join the Confederacy rather than the Union.